Pictured are the 2017 Cardington-Lincoln High School Homecoming King and Queen, Daniel Kill and Katelyn Denney. They were chosen Friday night. 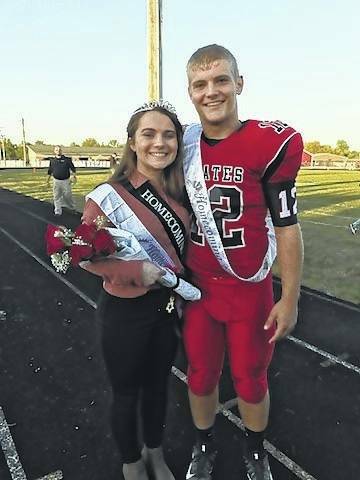 https://www.morrowcountysentinel.com/wp-content/uploads/sites/29/2017/09/web1_King-Daniel-and-Queen-Katelyn.jpgPictured are the 2017 Cardington-Lincoln High School Homecoming King and Queen, Daniel Kill and Katelyn Denney. They were chosen Friday night.